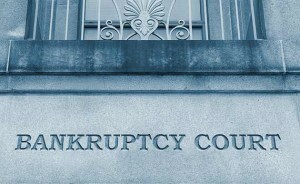 Home » Bankruptcy » What are the Differences between a Missouri Chapter 7 and Chapter 13 Bankruptcy? Many Missourians are struggling to pay their bills. Families can find themselves juggling a mortgage, multiple car payments, credit card payments, student loans, and more. If a sudden medical emergency or job loss occurs, people can easily find themselves in over their heads and facing possible home foreclosures, car repossessions, creditor lawsuits, wage garnishments, and more. Fortunately, filing for bankruptcy can be a solution to help those in even the direst of financial situations. There are two main types of bankruptcy available to consumers, referred to as Chapter 7 and Chapter 13 after the chapters of the United States Bankruptcy Code. Though most people have heard of these terms, many do not understand the differences between the two. In order to qualify for Chapter 7 bankruptcy, you must pass something called the “means test” to show that make less than the Missouri state median income or that you have less than a certain amount of disposable income every month to pay your bills. If you qualify, a Chapter 7 bankruptcy will discharge any debts that qualify, meaning you will no longer have to make payments on those debts. In exchange for this discharge, a bankruptcy trustee may liquidate some of your property. However, there are some exemptions under state laws that allow you to keep some of your valued property. If your income is higher, you may qualify only for Chapter 13 bankruptcy. Under this type of bankruptcy, your debts will not be completely discharged. Instead, a payment plan will be designed that puts the monthly payment amounts within a range you can afford and still live a normal life. This payment plan usually stretches over five years. Though you will have to make payments toward your debt, your property will not be liquidated. If you are considering bankruptcy, an experienced Missouri bankruptcy lawyer can help you decide what is right for you. An attorney can guide you through the process or even help you pass the means test and qualify for Chapter 7. Do not hesitate to call the office of Kenneth P. Carp today at 636-947-3600 for assistance. What to Expect when Filing for Chapter 7 Bankruptcy in Missouri?